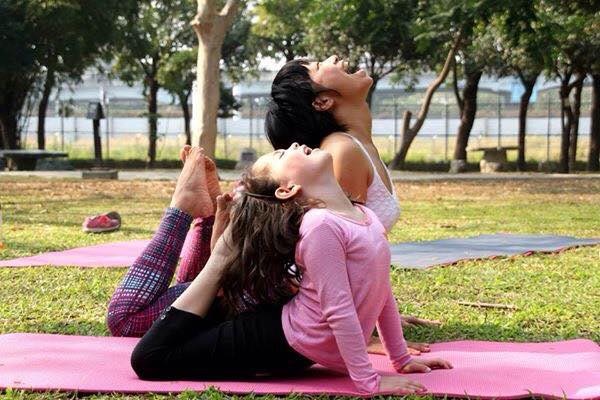 Over on our Facebook, we've asked the yoga moms of DOYOUYOGA time and again to send in your photos of yourselves practicing asana, sharing prana, and basking in bliss with your little critters, and boy, do you like to do yoga with the kids! Here are 12 of the most eye-catching, cutest, and sweetest ones we've seen but have yet to single out. Give us a holler if you see your pic below! 1. 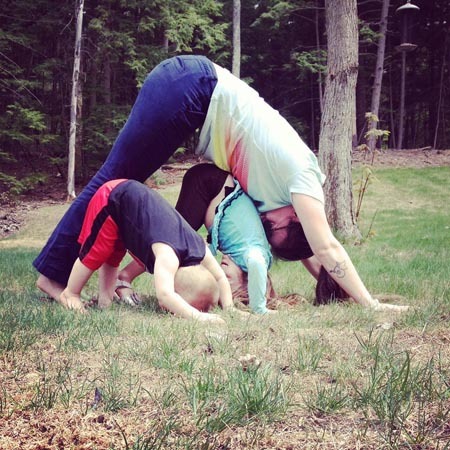 Here's Mama Bear Candra with her two cubs in Downward Dog in the grass. 2. Christina is seen here with her mini casting shadows on the sand in Hand-to-Big-Toe Pose. 3. Delia and her little man are working on their full body stretch here in Seated Forward Bend. 4. 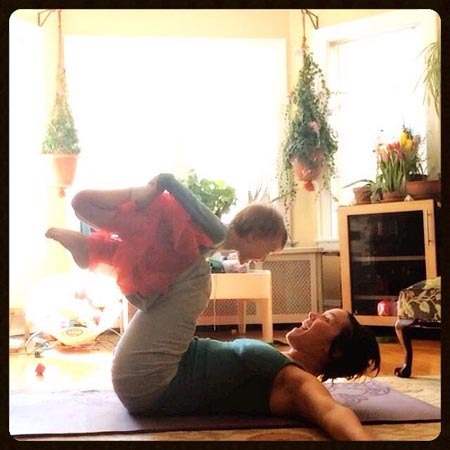 Eileen and her precious toddler enjoy playtime in an AcroYoga Bow Pose setup! 5. Here's Carrie and her crew straight up chillin' in Triangle Pose. 6. 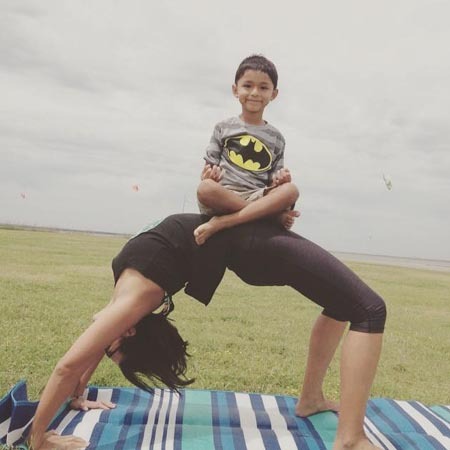 While Jen opens her heart in Upward Bow, her little gent gets his zen on in Easy Pose. 7. Jhen and her little girl here in a moo-tastic Cow Pose. 8. Give it up for Lynn and her little yogi in a Partner Down Dog. 9. 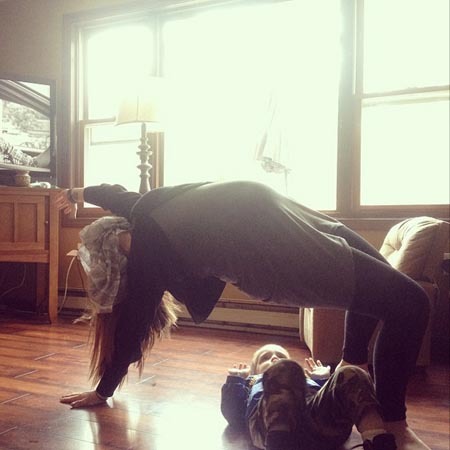 @camonlipstick on Instagram sure starts her offspring early on the yoga train! 10. 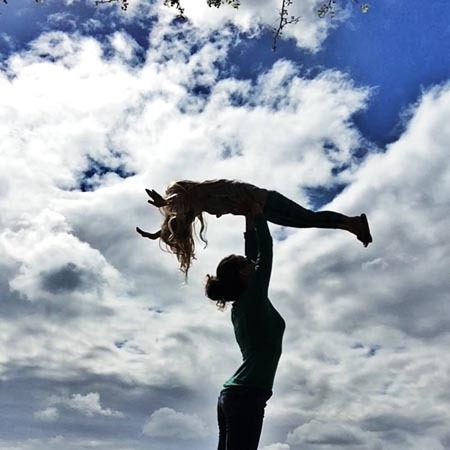 Here's Kori holding up her mini yogi in a glorious Locust Pose. 11. 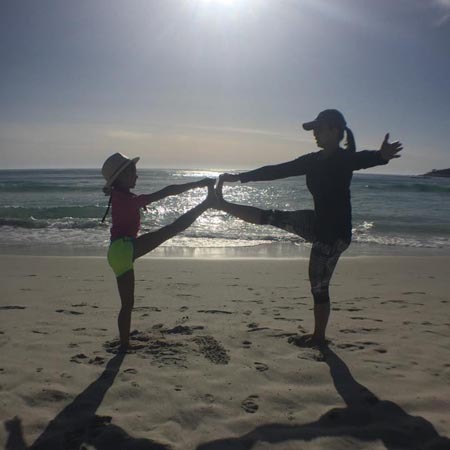 How about Mayna and her little girl hanging out in Full Cobra Pose? 12. Last but not the least, put your hands together for Sarah and her mini inverting in two kinds of Headstand. 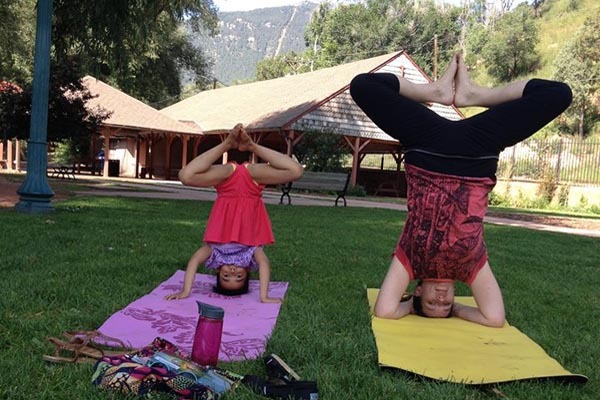 Mad props to our yoga mommies who put in the time and energy to share this wonderful practice and lifestyle with their offspring. 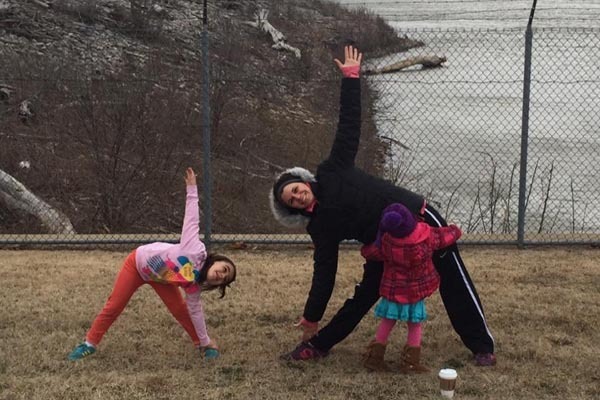 After all, who wouldn't want their kids to benefit from the amazing wonders that yoga offers? 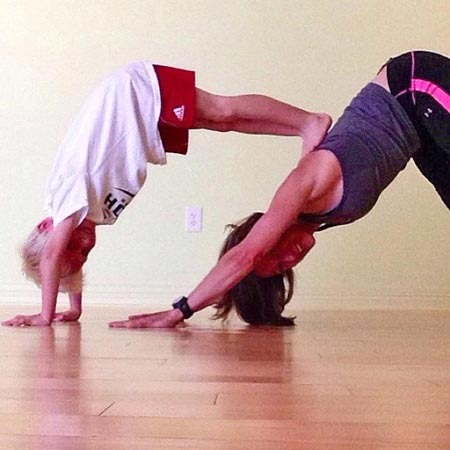 What's YOUR favorite yoga pose to practice with your little ones? Keep on om-ing, and feel free to share more photos below!